A virtual gathering where uSpeak and share your faceless closure poetry live, in company of other faceless closure followers. Speak your peace, and don’t miss out! The session will be a tele-conference call. The log in information will be available online, on the day of the event. Send an e-mail to ms.broadwaytherapy@facelessclosure.com, to add your name to the list as a presenter. 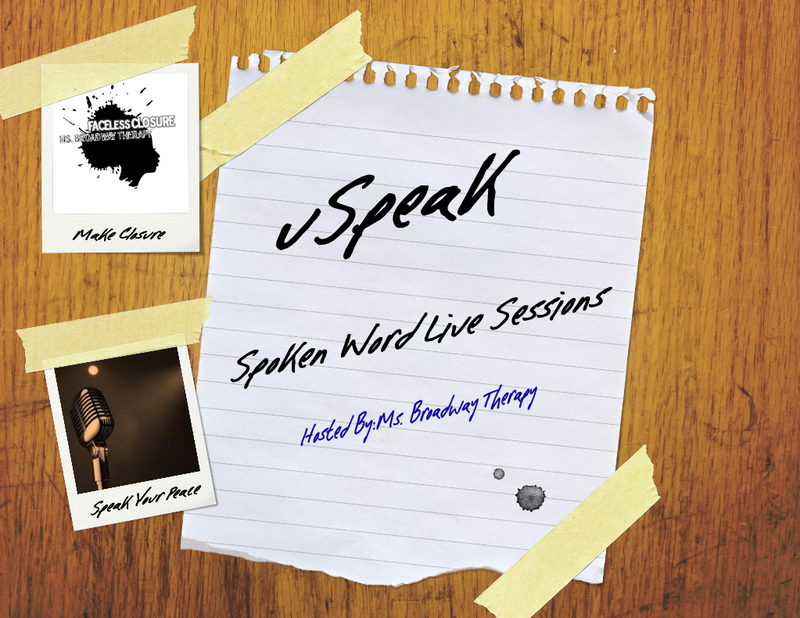 The session will be live, you chime in via twitter or return here for the replay for the session.